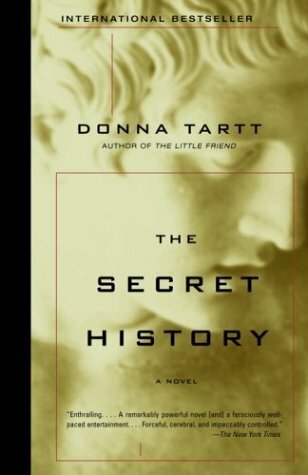 200 pages into The Secret History and I am now a convert to “The Cult of Donna Tartt”. I started it on Sunday and since then, I’ve wondered how I’ve never read this book before probably 100 times. Obviously, it has all of the things I would ever want in a novel, including a college campus setting, a murder mystery, and lots of Classical Studies discussions. I’m not nearly finished yet, so we’ll see if this lives up to my expectations. I’ve been enjoying this reading experience a lot more than my experience reading Seraphina, which I finished over the weekend. For a young adult fantasy novel that heavily features dragons, I was not as engaged as I thought I would be. However, by the end I was a little attached to the main character so I wouldn’t rule out reading the sequel when it’s published. – Then I reread the New Yorker profile of Dr. Oz after that horrific accident on 6th Avenue. (In case you didn’t hear about it, he helped the victim of the accident.) I had forgotten how much he and his wife discuss reiki in this piece. – I also read the New York Times profile of Li Na from the magazine this weekend because I was way excited about the start of the US Open and I was halfheartedly doing work at a coffee shop and needed a big distraction. – And this wasn’t really a profile, but it kind of was, but there was an interesting piece called “Cooking with Daniel” in the New Yorker a few weeks ago that I just got around to reading. Bill Buford cooked three “classic” French dishes with Daniel Boulud. Boulud’s personal history, the history behind the dishes and the writing are all fantastic.